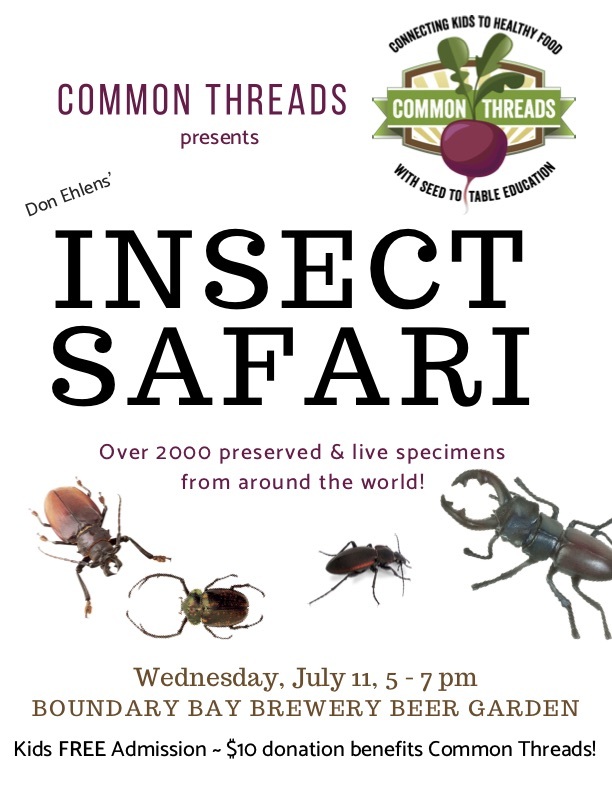 Kid-friendly entomologist and science educator Don Ehlen will present his astounding collection of live and preserved specimens, and Common Threads Americorps Food Education team will be on hand with crafts and games. Come celebrate the school year! Admission is FREE for kids ~ and Boundary Bay’s Beer Garden has a delightful play area! $10 suggested donation benefits Common Threads seed-to-table programs! Visit our Facebook event page & help spread the word!